Once again, Delhi’s Aam Aadmi Party, has opened up a big bag full of freebies. Eleven days after being sworn into power again, Delhi’s new government has taken a big step forward in delivering on its promise to make power and water more affordable. The beneficiaries of the electricity rate cut: households consuming less than 400 units of electricity. Starting next month, electricity tariffs will be cut in half for this section of consumers, Manish Sisodia, Delhi’s deputy chief minister, said Wednesday. More than 90% of consumers in the capital- more than 3.5 million families- fall in this bracket, he said. The state government will set aside 700 million rupees, or about $113 million, to pay for the power handout. For the full, new fiscal year starting in April, the Delhi government estimates the cost of the subsidy will be around $230 million. In Delhi, one of the world’s biggest megacities, power generation and distribution lies in the hands of both the state government and private companies. It taps neighboring states for most of its power as it only produces about 20% of the electricity it consumes. 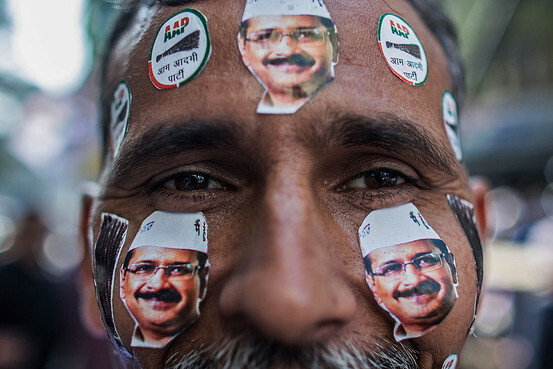 via Delhi’s AAP Provides More Free Water and Power to the People – India Real Time – WSJ.